U.S. District Judge Thomas Schroeder, the conservative George W. Bush appointee who was famously overturned on NC voting rights by the Fourth Circuit Court of Appeals, has issued a limited (very) injunction against HB2 as it relates to just three people, while keeping the law intact for everyone else. Gee, thanks for clearing that up, Judge. Schroeder's ruling blocks the UNC system from enforcing the bathroom portion of the controversial law for three transgender residents who have challenged it. Schroeder said the three plaintiffs -- two students and one worker at various UNC-system institutions -- were likely to succeed on claims that HB2 violates federal anti-discrimination law, but the judge -- threading the needle -- also thought the equal protection claims did not seem likely to succeed. Huh? 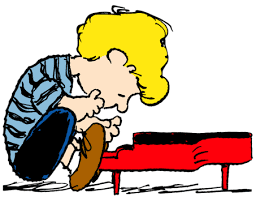 How confusing is Schroeder's order? The three plaintiffs said they were relieved, while Phil Berger and Tim Moore, the legislative geniuses who rammed HB2 through the General Assembly in less than a day, issued their boilerplate praise that the judge had upheld the law that will keep "grown men out of women's bathrooms." Yadda, yadda, yadda. Judge Schroeder did manage to point out that Berger-Moore had passed a law with no enforcement mechanism. Governor Squishy likes to brag that HB2 is "commonsense" law meant to protect privacy, but Schroeder wrote in his decision that so far the governor and the other honchos defending HB2 have not provided any evidence that allowing transgender people to use the restroom of their gender identity poses a privacy or public-safety risk. “Ultimately, the record reflects what counsel for Governor McCrory candidly speculates was the status quo ante in North Carolina in recent years: some transgender individuals have been quietly using bathrooms and other facilities that match their gender identity, without public awareness or incident,” Schroeder wrote. At times, Judge Schroeder can actually make out the trees; he just never sees the forest.